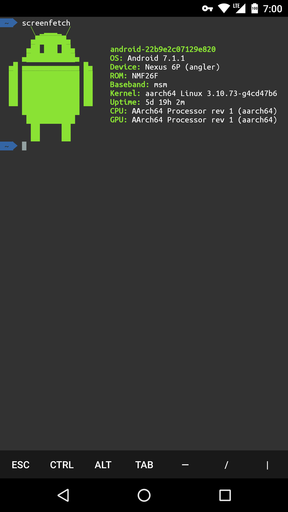 Unlike Old Days of Android, Now We Have Lot of Terminal Emulators Good Enough to Manage Servers. Here is an Updated List of Best SSH Client App For Android Smartphones. Most of us are used with either Terminal application of any GNU/Linux or iTerm2 on Mac, Ubuntu Bash on Windows 10. Factually we use bash or Oh-My-ZSH and tweak the look a lot. Possibly most of the power users need both – Termius has SFTP and Termux is an Android terminal emulator and additional packages are available using the APT package manager with pkg or apt command. Although I have not tested the above yet, from my experience, you need to install some packages SSH and curl before doing works. I believe that the second one needs update of sources to avoid errors. Termux initially although appears as has no way to customize other than paying for customization, actually that is not true. If you give bash and a package manager in UNIX environment, you can do whatever you like as desktop as too many plugins, themes. I am not sure if more better option available at this moment. This Article Has Been Shared 8537 Times! With App Inventor from MIT which uses the theory of constructionist learning, we can create Android app from Graphical User Interface. Which Smartphone is Better to Buy in 2017-2018? Which Smartphone is Better to Buy in 2017-2018? Possible Apple iPhone if you seeking a device for work. Samsung is good at affordable range. How to Create an Android App and Host It on Cloud? How to Create an Android App and Host It on Cloud? You May Be Beginner or a Data Scientist, Obviously All of Needs List of Resources and Tricks to Make the Steps Easy. Here is Technical Details of Android Watch. It is Definitely Practical to Remain Updated About These Android Watches. From Cheap China Companies to Top Notch Watch Companies Are Manufacturing Them. Here is List of Tested Hidden Secret Codes for Samsung Galaxy Android Phones. Each Manufacturer Have Slightly Different Codes to Bring Up These Information or Tools. Cite this article as: Abhishek Ghosh, "Best SSH Client App For Android Smartphones," in The Customize Windows, March 20, 2018, April 26, 2019, https://thecustomizewindows.com/2018/03/best-ssh-client-app-android-smartphones/.